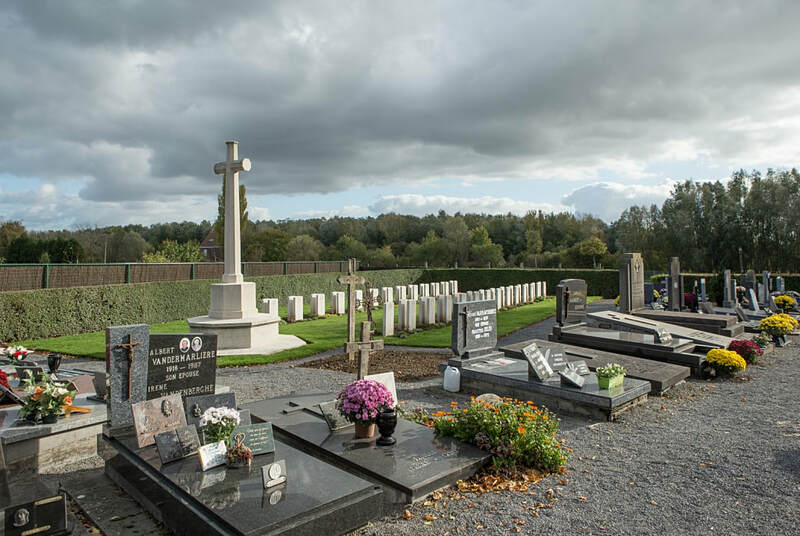 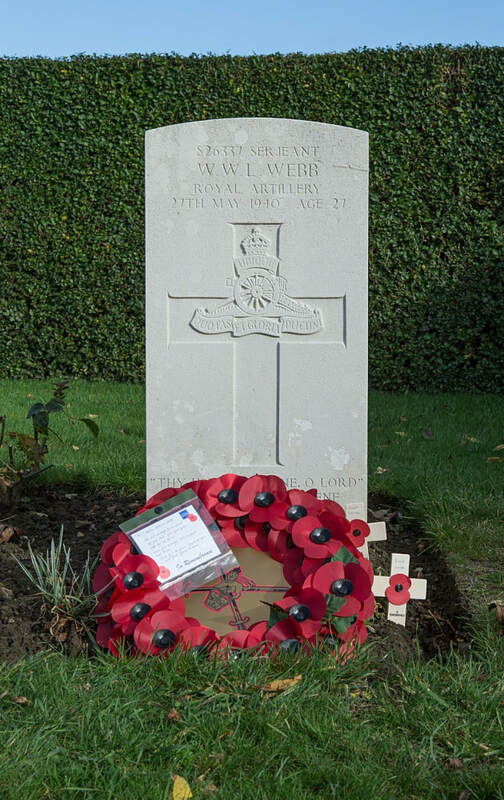 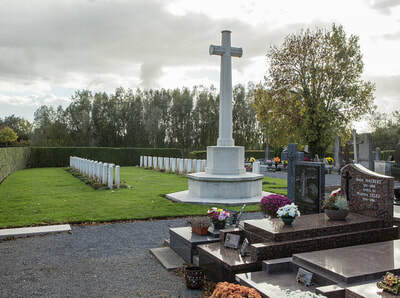 Bas-Warneton (Neerwaasten) Communal Cemetery is located 12 Km south east of Ieper town centre on a road leading from the Rijselstraat N336, connecting Ieper to Bas-Warneton and onto Lille. 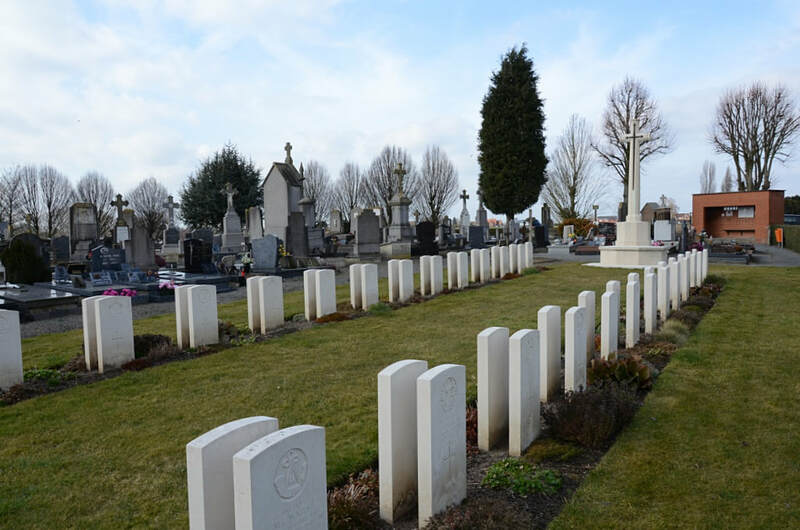 From Ieper town centre the Rijselstraat runs from the market square, through the Lille Gate (Rijselpoort) and directly over the crossroads with the Ieper ring road. 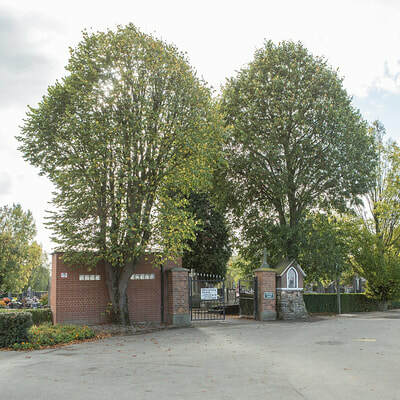 The road name then changes to the Rijselseweg, (N336). 3.5 Km along the N336 lies a fork junction with the N365, the left hand fork of which continues the N336 towards Bas-Warneton. 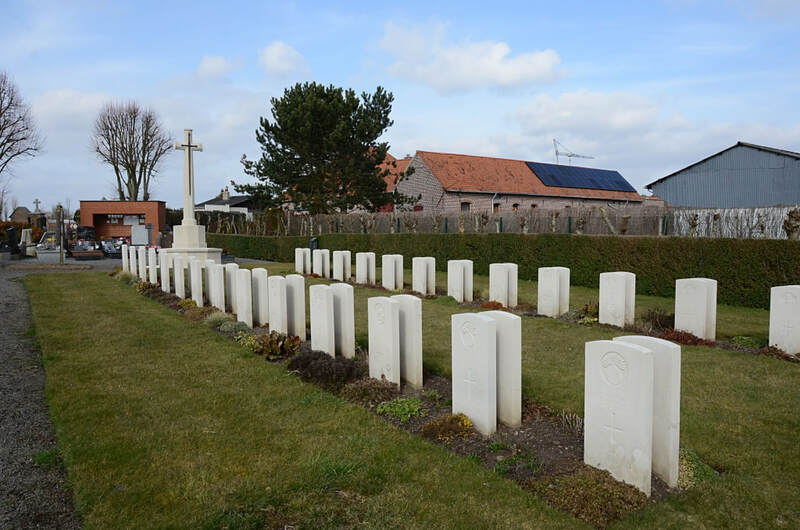 On reaching the village of Bas-Warneton the road name becomes chaussee d`Ypres. 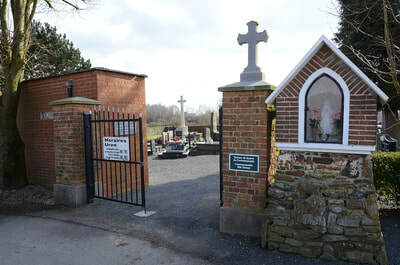 The cemetery is located by turning left onto the N515 chaussee de Warneton. 1 Km along this road lies the right hand turning onto the rue de l`Ancienne Place. The cemetery is located 600 metres along this road on a track junction with chemin du Prieure. 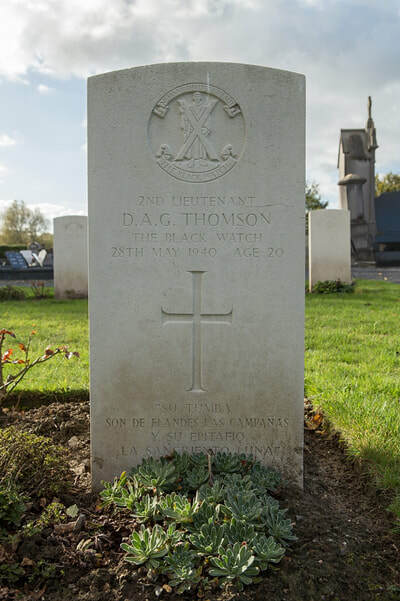 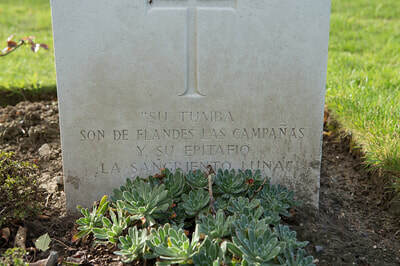 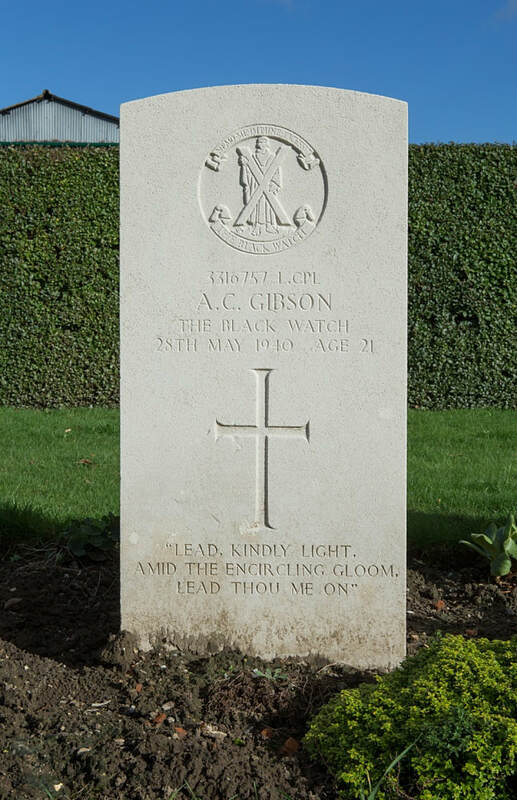 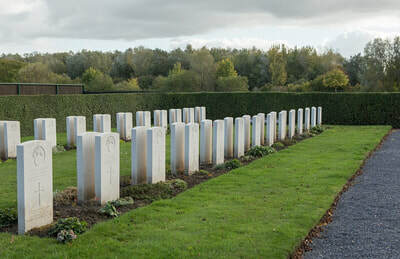 Bas-Warneton Communal Cemetery contains 53 Commonwealth burials of the Second World War, six of them unidentified.